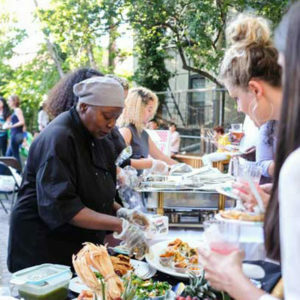 This year is the first annual Shop & Dine East Harlem for the Holidays campaign. The goal is to encourage the community to think local when they consider their shopping and dining during this holiday season. We are very excited to promote a series of events during the holidays that makes it easy and convenient for residents to locate great deals and values with our local merchants. 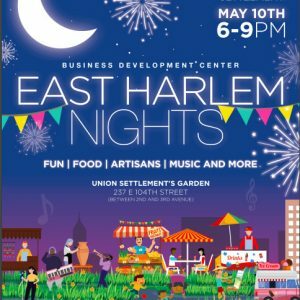 These events are designed to create a fun, exciting, holiday season in our community while simultaneously decreasing the 804 million dollars (according to SBS) which leaves the East Harlem community annually. It is our intent to slowly and steadily decrease that number and we would very much like your participation at these events, in support of our local merchants. Thank you so much for being a Small Business supporter. Click here to see a full list of scheduled events. Shop and Dine East Harlem Holiday Guide will make it easy and convenient for residents to locate great deals and values with our local merchants. 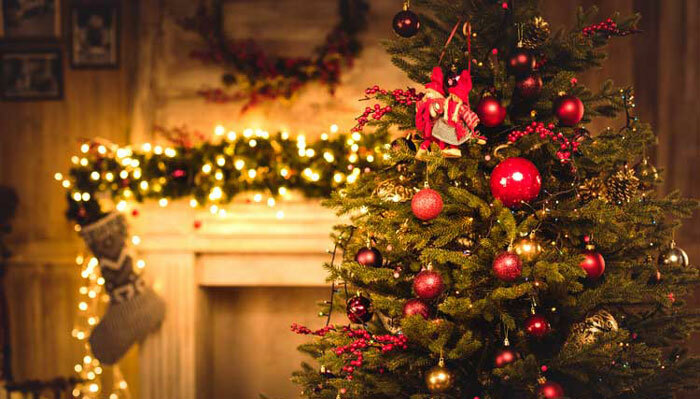 In this guide, you will find details about our Holiday Pop-Up Markets, information about local cultural events, including the Annual Pasteles and Coquito Masters contests and the Annual Tree lighting on 106th Street. 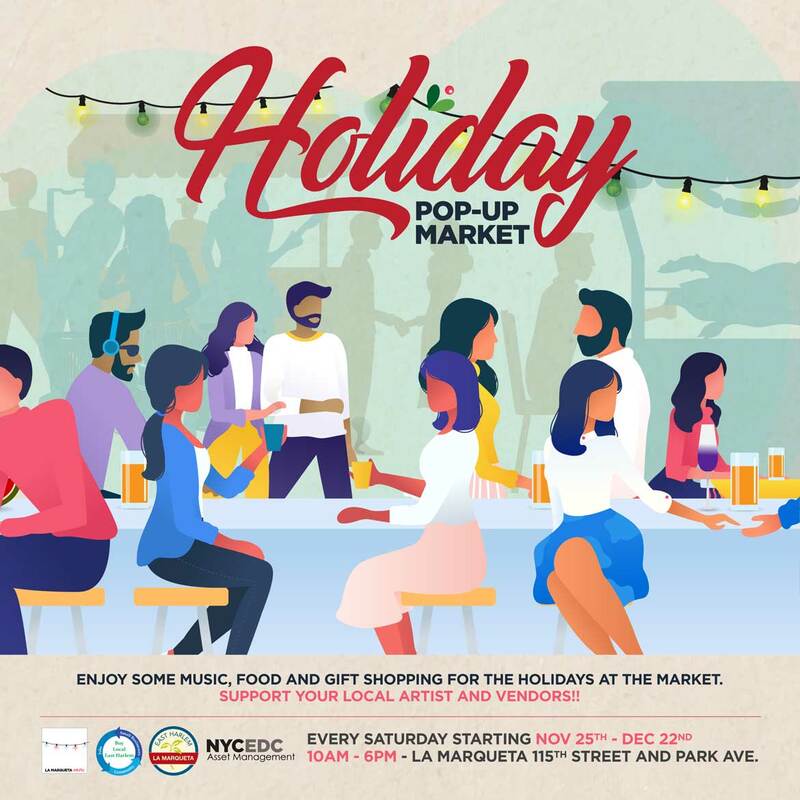 Throughout the season, at Shop & Dine East Harlem Holiday Pop-Up Markets, we will distribute promotional items and samples from participating vendors, to maximize their marketing exposure. 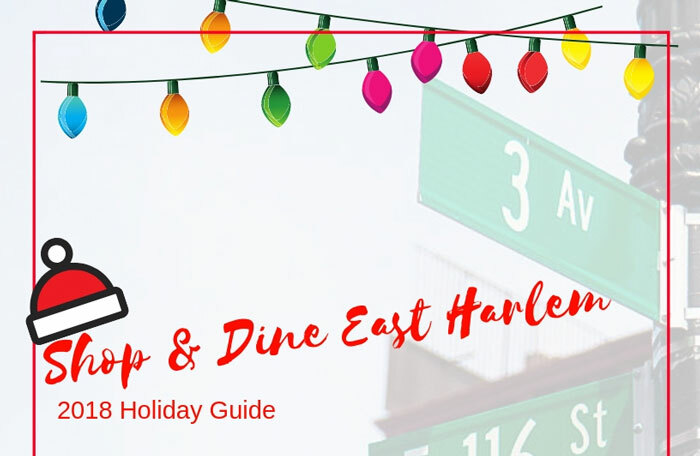 Download your Shop & Dine East Harlem Holiday Guide here and join in on the festivities. The first event, our kick-off will take place at Amor Cubano, (located on the corner of 111th Street and Third Avenue) on Wednesday, November 14th at 5:30PM. 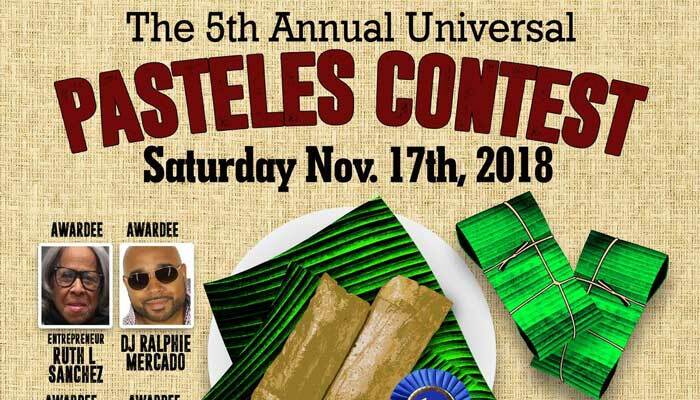 To help us kick off our holiday events, we will share promotional items, Holiday Pop-Up Markets, as well as information on local cultural events, including the Annual Pasteles and Coquito contests and the Annual Tree lighting, on 106th Street. Please click here to rsvp. 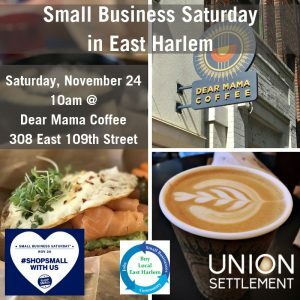 Our second event, a breakfast, will take place at Dear Mama Coffee Shop (located at 308 East 109th Street) on Saturday, November 24th, at 10AM, on Small Business Saturday. This is our second year as neighborhood champions for this event, an American Express (AMEX) initiative that encourages communities to shop small. Each year AMEX rounds up neighborhood champions, i.e. community stakeholders who will be point persons for promoting the local merchants and encouraging the community to come out and shop local. 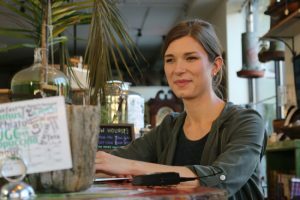 As an incentive for local residents, merchants give special discounts throughout the day. To track the day’s impact, we are utilizing the “Passport” that was created by AMEX. At the breakfast we will hand out the passports to the community. These passports will include all the local discounts for the residents to go holiday shopping on that day. Those who submit their stamped passports at one of the participating locations will be entered into a drawing for a chance to win prizes! In addition, we will be handing out promotional items and samples from some of our vendors, to maximize their marketing exposure. Download the Small Business Saturday Passport here. Please click here to see all the holiday events taking place in East Harlem or download the Shop and Dine Holiday Guide here.